Car companies getting hit on rising material costs due to Trump tariffs. Trucks are still protected in the U.S. by a 25% tariff, despite a lower tax on all other vehicles. A rising rate of inflation now poses an additional threat to an auto industry already under pressure from new tariffs and trade restrictions. From June 2017 to June 2018, the U.S. Consumer Price Index for All Urban Consumers rose 2.9%, the largest 12-month increase since the period ending February 2012, the U.S. Department of Labor. The Congressional Budget Office, in a report in which it indicated it expects U.S. economic growth to slow next year, also said this week it expects the rate inflation to top 3.1% through the last half of 2018. U.S. workers’ paychecks are worth less than they were a year ago, the Labor Department reported Friday, as modest wage gains have not kept pace with inflation. While prices increased 2.9% from July 2017 to July 2018, the Labor Department said average hourly pay increased 2.7% in the same period. At the same prices for new vehicles continued to climb, according to Kelley Blue Book. 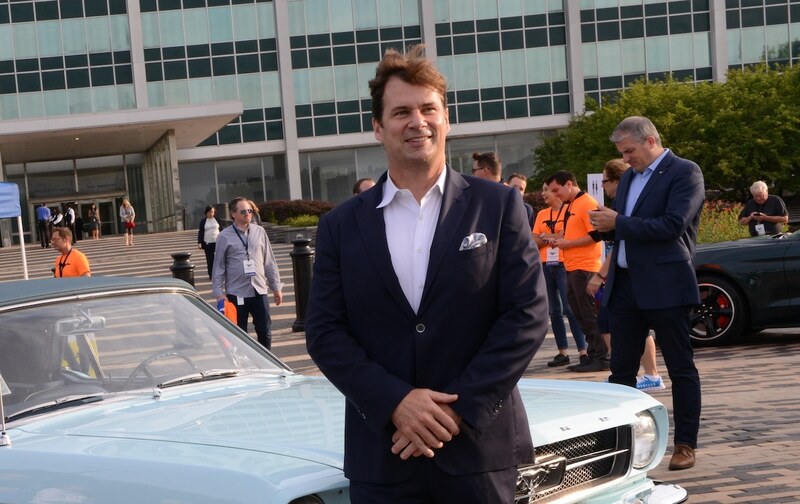 Ford EVP Jim Farley took time during the celebration of the 10 millionth Mustang to discuss the impact of Trump's tariffs. The Labor Department tracks average hourly pay adjusted for inflation, which is known as the “real wage.” According to the federal government, the real average hourly wage was $10.78 in July 2017 and $10.76 in July 2018. Real wages have been on a sharp decline since the start of the year. Meanwhile, rising steel and aluminum prices, driven up by Trump administration tariffs on those commodities, have become a drag on earnings and both Ford Motor Co. and General Motors Co. “The escalation of steel and aluminum prices is really significant,” Jim Farley, Ford’s president of global markets, during an appearance at the company’s Flat Rock (Michigan) assembly plant to market production of the 10 millionth Mustang. “It’s a significant headwind for us. It’s something that puts pressure on our own costs,” he said. 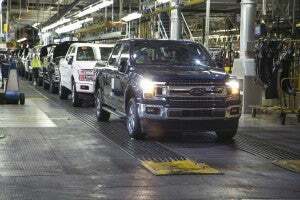 Even before the administration imposed the tariffs, however, Ford warned that rising material costs, coupled with unfavorable exchange rates, would add $1.6 billion to its costs this year. Farley said the company isn’t passing along the higher costs to its customers in the form of higher prices for its cars and trucks. GM also has acknowledged that rising costs have impacted the business. Typically carmakers facing inflationary pressures will examine contracts for every component that goes into a car to see if they can reduce the cost. They will also raise prices. “To the extent that we have opportunistic ability to pass along some [of the higher costs], we will,” said GM Chief Financial Officer Chuck Stevens noted recently in a call with analysts. So far this year, GM has been able to offset some of the negative impact of higher commodity costs and disadvantageous exchange rates by selling higher-priced vehicles, said Stevens. Consumers’ growing interest in crossover utility vehicles, sport utility vehicles and pickup trucks has helped GM in that regard, since the models are generally more expensive and more profitable than cars, Stevens said. Stevens also stated that GM is open to other options to combat higher costs, include substituting materials. A new study from Experian indicates the potential impact of higher costs on the most popular vehicles sold in the U.S. could be substantial. 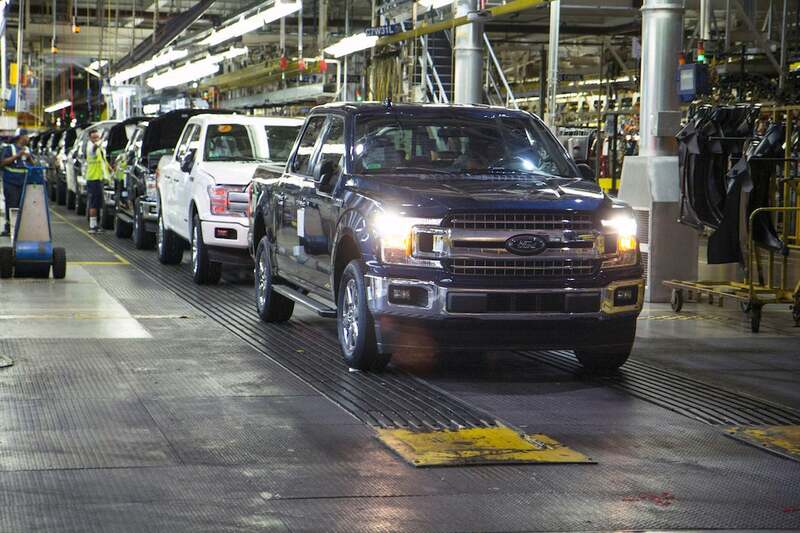 The Ford F-Series, for example, is made in the United States, and 65% of its parts are made “locally.” Tariffs on foreign parts would raise the price of the vehicle by between $2,572 and $5,746, according to Experian. The two other most popular vehicles sold in the United States face similar issues. General Motors Co. sells the second-most popular vehicle in America, the Chevy Silverado. The price of the pickup will rise between $3,993 and $7,650, according to the research. The third most popular vehicle, which is the Fiat Chrysler Automobiles Ram 1500, would suffer a price increase of between $3,063 and $6,298. This entry was posted on Tuesday, August 14th, 2018 at and is filed under Automakers, Business, Earnings, Executives, FCA, Ford, GM, Markets, Personalities, Politicians, U.S./North America. You can follow any responses to this entry through the RSS 2.0 feed. Both comments and pings are currently closed.